First announced by the Labour government in 2009 and after a consultation period, the scheme is not designed to reward early adopters of solar heating for being the first to install these low-carbon technologies. Later adopters will get a lower rate of return or if you leave it too long into the future, or possibly no incentive at all because the scheme is designed to reduce as installation numbers rise. The financial reward will be a feed-in tariff of 17.5 pence per equivalent kWh of heat produced for seven years for evacuated tubes or flat-plate solar panels. 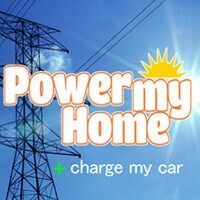 This scheme will give a quicker financial return than its sister scheme for (Photovoltaic) PV solar technology. The Renewable Heat Incentive will begin in April 2013. However, pre-dated installations starting April 2012 will still be able to claim the financial incentive to, meaning even if you install a system today, as long as an MCS does the installation accredited solar installer, then the feed-in tariff will still be claimable. The much-anticipated incentive scheme will be a welcome addition to the solar heating panel industry after its sister PV technology received an early start with its overly successful Clean Energy Cash Back scheme, which saw a massive demand spike as homeowners rushed to take advantage and fall as the sheer overwhelming numbers of participants threatened the project. The solar electric tariff rate was reduced to protect the scheme, but this has proven that over popularity, can and will, bring down the reward rate for later adopters, so don’t miss the boat with this new exciting window of opportunity and a new chapter in the solar industries fledgeling years. With year after year of household energy costs rising fast and dropping again slowly, the two steps forward and one step back approach, of the big six energy companies leave everyone feeling fed up at best and bitter at worst. The time for future-proofing your home and business will pay dividends over the coming 25-30 years, which incidentally is the lifespan of both evacuated tube and flat-plate panel technologies if serviced correctly. The only thing you need to determine, in which solar heating technology will best suit your home? Evacuated tubes are the best performing of the two systems available, with better performance figures during the winter months. However, many people install flat-plate panels for aesthetic reasons, mainly the in-roof Velux window style panels. Whichever of these systems you choose, alternative energy will undoubtedly be a welcome relief from the continually higher costs of fossil fuels such as gas, electricity and especially oil. Solar heating may have been left out in the cold in recent years, but this new and exciting industry is warming up for a busy new year.